Welcome to the 9th and final part of my Food From Home series! I have one last Bahrain story and recipe to share with you, and for this edition of Food from Home, we’re heading back to my school, St. Christopher’s. During my 5 years at this lovely institution, I was immersed in the British curriculum. In my opinion, it’s a lot more challenging than ours here in Canada. The last 4 years are done in pairs, with years 10 and 11 being GCSEs (General Certificate of Secondary Education). Some students choose to end their school careers here and seek out jobs – I suppose the same way a student might do immediately after high school in Canada. 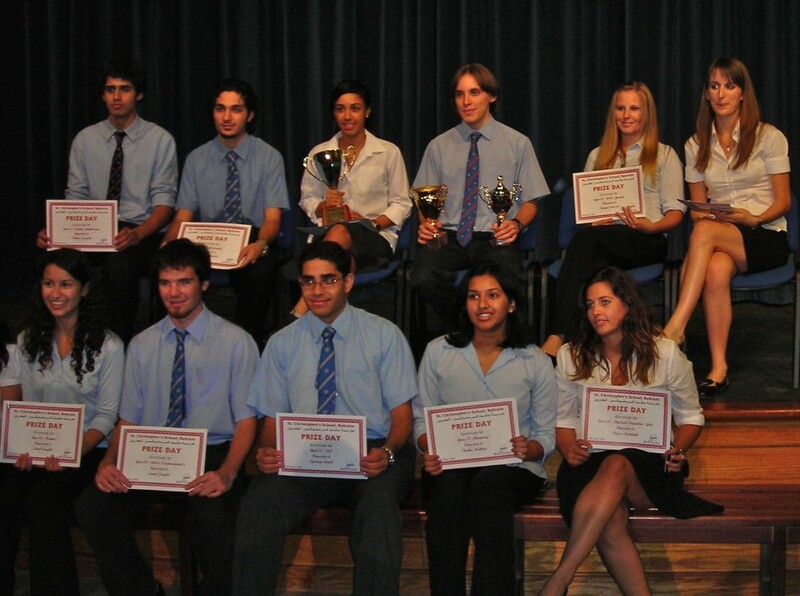 The rest complete the final 2 years, 12 and 13, which are known as the Sixth Form. At the end of these, A-Level exams are written and contain content that is similar to North American first-year university level material. As an outsider looking at the students of St. Chris, you’d think we were all a pretty well-behaved, studious bunch, right? Well, for the most part that was true. The study habits and organizational skills I learned in Bahrain were so beneficial to me as a university student and I’d be willing to bet that my GPA wouldn’t have been nearly as high had I not gone through the A-Level program. Having said that though, my Sixth Form peers and I also knew how to have fun. One of my favourite St. Chris memories was our final day of school, also known as prank day. I can’t remember quite how many students were in the Sixth Form while I was there, but it was enough to justify having one of the school’s wing dedicated to us. In this building, we’d have our morning form time (probably the equivalent of ‘home room’ time in North America) and we had our own big study room with loads of computers and tables for playing cards studying. Next to the study room was the office of the Head of Sixth Form and the Assistant Head, so if things got rowdy, they’d soon come in and put an end to the fun. That was on the average day, but on prank day, we got our revenge. For starters, we filled the Head and Assistant Head’s office with squillions of balloons (there were many more than you see in the photo above – at least knee deep). We also taped photos of ourselves all over the big window into the study room so they couldn’t see. 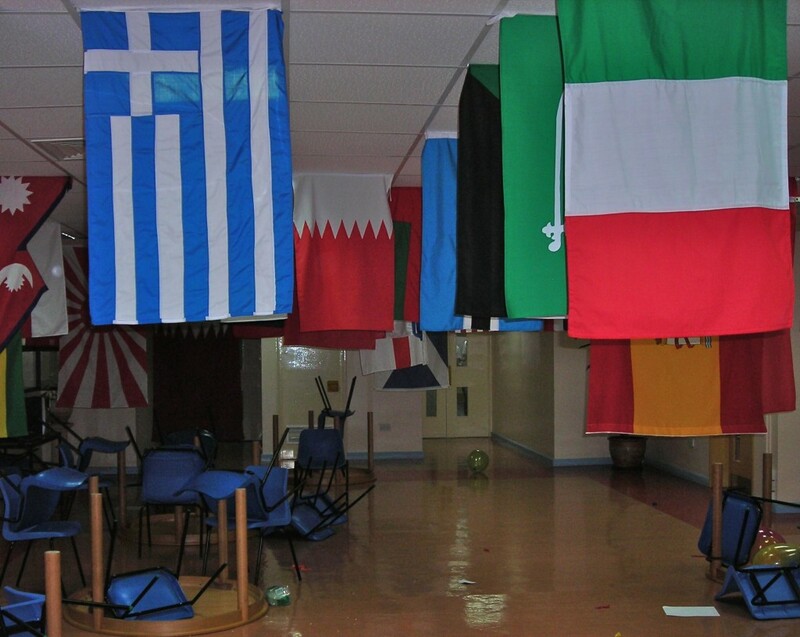 One of my geography teachers was absolutely obsessed with flags, and had one for every country he’d visited tiled on the ceiling of his form room. They were all very perfectly aligned with tacks (probably the same colour as the flags). To say thank you for all of the uniform infractions and detentions he’d given us over the years, we happily unpinned some of the tacks. We also flipped every chair and table in the room. As I told you in my post about Bahrain’s markets, there is an abundant supply of seafood available for purchase. Most folk go there for common species like hammour, prawns and other fish that swim in the Persian Gulf. To mark the special occasion of our last day, some of my school mates took it upon themselves to purchase a few less-common sea creatures for our Sixth Form kitchen freezer. I don’t know what happened to this shark and the crab at the end of the day, but it was quite entertaining to see the faces of the Sixth Form Heads when they found them. Hopefully they didn’t have any plans for that bottle of Saudi ketchup. We set this little guy loose in our Common Room (which is like a big break room) and let him run free for the day. Initially the plan was to get 2, and put signs that said “#1” and “#3” around their necks. The idea was that the teachers would spend all day trying to find #2, who didn’t exist. However, after a few hours of cleaning up our duck’s ‘marked territory’, we were quite happy that we didn’t bring in a buddy for him. Did we get in trouble for this? Nope, the Heads were actually quite amused (or so they made it seem) and it was all a good laugh in the end. I’ve been back to Bahrain twice since I graduated from St Chris, and it’s always great to catch up with my friends who have parents still living there. Ok, now it’s recipe time! As I’ve mentioned before, some of my Food from Home recipes are a lot more Indian than they are Arabic. There is a large Indian population in Bahrain and to be honest, I think some of their dishes are more zesty and exciting than many traditional Arabic ones. Today is the first day of spring and I know that a hot bowl of lentils may not be exactly what you’re craving as the temperatures rise. However, I just couldn’t finish off the series without sharing a recipe for dahl, which is an Indian stew-like dish made primarily from lentils. The best thing about dahl (apart from its wonderful taste of course) is that it can be cooked in less than 20 minutes. 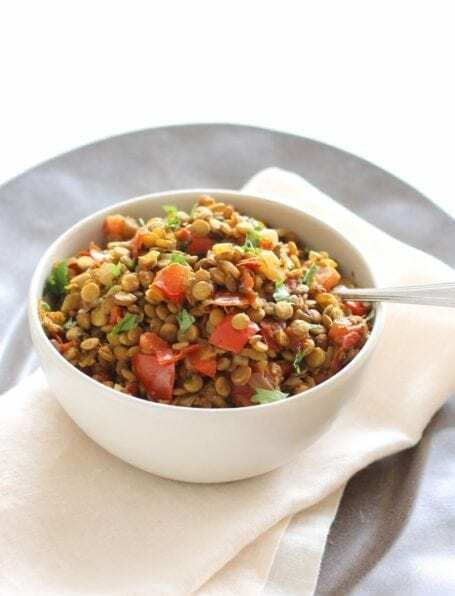 Raw red lentils are typically used in this recipe, but I often use green ones because I prefer their less mushy texture. 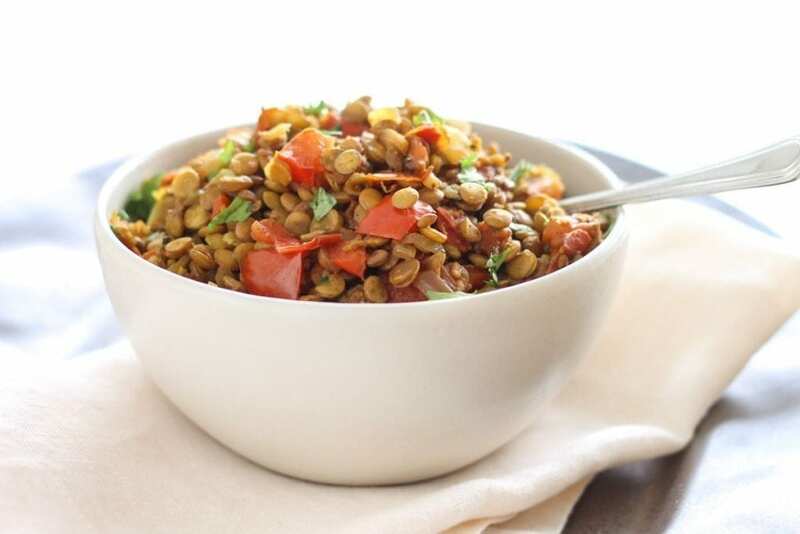 Regardless of colour, lentils are an excellent source of plant-based protein. They’re also incredibly cheap, so if you’re on a tight budget, I’d recommend giving them a try. Add the curry powder, continuing to stir for another minute while coating the onion in spices. Add all remaining ingredients except for the cilantro and stir to combine. Bring the pan to a boil, then reduce heat to medium and cover for 15 minutes. Remove the lid and stir again. The lentils should be nearly ready at this point, but there should still be a bit of liquid in the pan. Continue cooking for another 5 minutes, uncovered, or until that liquid is almost completely absorbed. Remove the pan from the heat and stir in the cilantro. 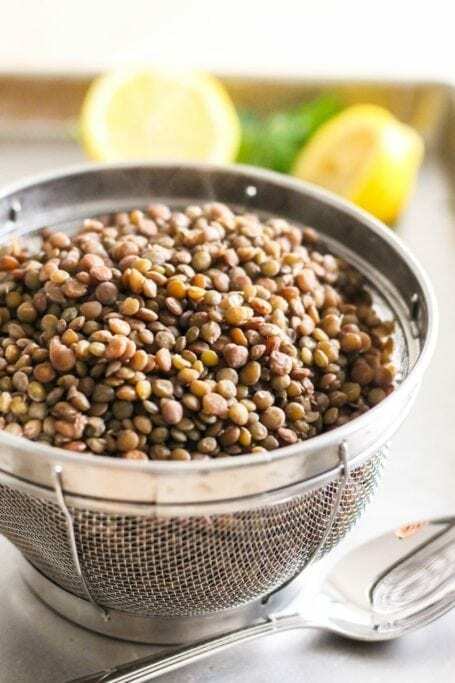 Transfer the dahl to a large bowl and serve immediately, or store in the fridge for up to 4 days. Dahl makes a great make-once-and-eat-the-leftovers-all-week dish, and this is exactly what I’ll be doing with my big batch this week. This series was inspired by the questions I receiving from a few readers about life in Bahrain, and I hope you’ve enjoyed reading as much as I’ve enjoyed writing it. If you have any more questions about my Middle Eastern experience, feel free to send them my way or leave a comment below. You had me at “dahl.” I LOVE that stuff! And the stats are impressive–20 grams of protein?? Most seniors in the US have a senior prank&skip day as well. Unfortunately, the class before mine had our privileges revoked with the different things they did–but I enjoyed hearing about yours! How fun! I know, isn’t it crazy? I calculated it 3x just to be sure! I think it’s a great one to start with! Don’t worry, it’s really not difficult. Let me know how yours turns out! 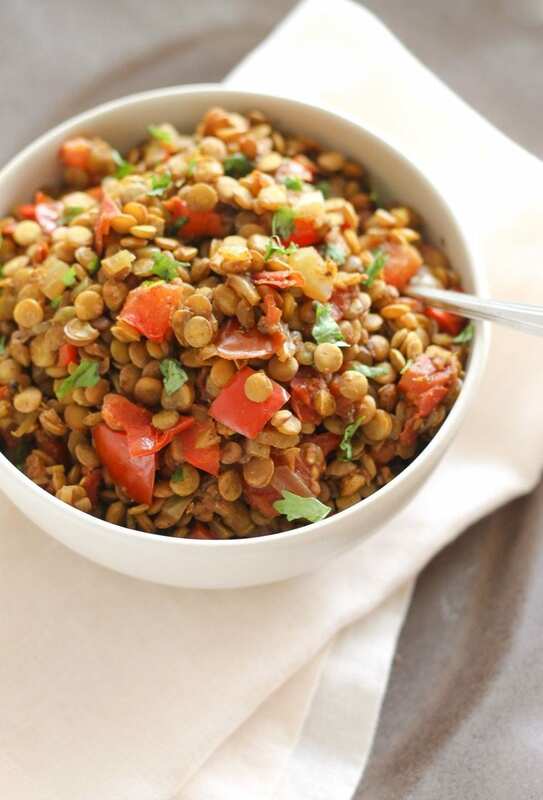 I really need to try more Indian foods..this one looks great and I love lentils and veggies! I’ve loved reading your stories and recipes from back home! Such a fun series! This recipe was a great way to finish it up. Thanks girl! So glad you’ve enjoyed it! I just made this for dinner and it came out awesome! Only thing I added was some toasted cumin seeds right before serving. I love Dahl and this recipe and definitely a keeper. Thnaks !! I’m so glad you enjoyed it, Leslie. Toasted cumin seeds sounds like a great addition!